Successful business interaction is not a mystery. Nothing is so praiseworthy and important as paying exclusive attention to the person who is speaking to you. Human Relations Principle 7: Be a good listener. Encourage others to talk about themselves. Listening is just as important in your home life as in the world of business. Listen carefully when a family member wants to speak to you. They will know you love them because whenever they want to talk to you about something you stop whatever you are doing and listen to them. Business Energizers Logo, copyright Business Energizers, a division of Lynray Inc.
Branding and marketing matters for how your customers view you and your business. How long has it been since you took a fresh look at your business presence? I was meeting with a marketing friend, named Bill, the end of last year. He looked at some of my branding and marketing materials and asked when they were created. “Some of it is over 10 years old,” I said. “They look it,” he said. Ouch! That began our refreshment adventure. Nine months later (about the same time to birth a baby) we have created a new branding look, updated copy, website, and marketing materials. It was an enlightening, clarifying process that helped me to better understand the value we offer to our customers. Well worth the investment of time and money. Do you have a mission statement that clearly defines the unique business that you are in or about? Do your employees and customers understand your organization’s mission? Clearly defining your mission helps you to know which opportunities to say “yes” to and which to turn down. It becomes your “energy umbrella.” Every opportunity under the umbrella of your mission is a wise investment of your organization’s energy and resources. Anything outside the umbrella will not resonate with what is important to your organization. It is a valuable tool to decide on what to expend precious resources. How do you choose to have people behave (most important core values)? 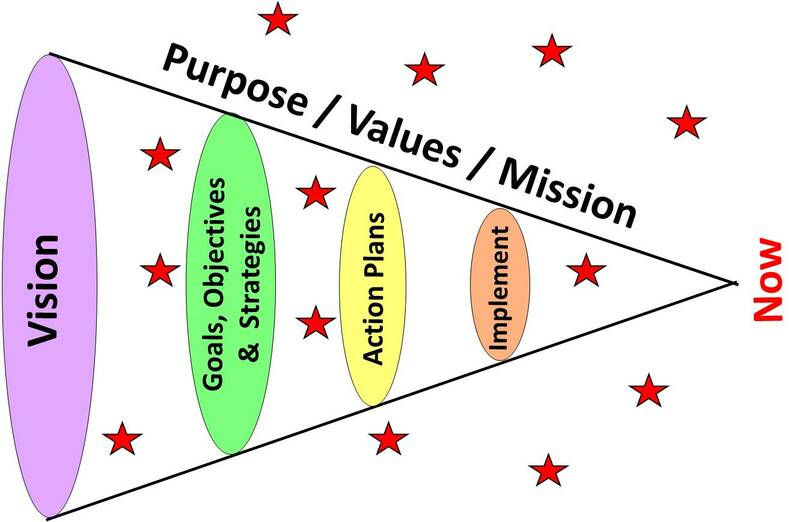 Why is your organization here (core purpose; the heart of your mission statement)? What does your organization do (products and services you provide)? What results do you desire for your organization (beyond just making money)? Who does your organization serve (your customers)? The key to crafting a good mission statement is to make it simple but not too vague. Make it heartfelt and not too heady. Make it unique to your organization so as to distinguish you from your competitors. Make it memorable and inspiring to all who read it. Starbucks Mission: To inspire and nurture the human spirit—one person, one cup, and one neighborhood at a time. Our TLC Mission: We help create cultures of character and success that inspire hope and awaken the greatness in people, organizations and communities—guiding organizations to get clear, get organized, get going, and get results. When you have completed your organizational mission statement, consider asking your department managers to gather with their direct reports to craft each department’s mission statement. This exercise will help employees to become clearer about the scope of their service to the organization. Additionally, you will find it to be a meaningful and engaging employee team building experience. I always recommend to my clients that they revisit their mission annually, because their organization needs to evolve as the needs of their target market changes. Your organization’s core purpose and core values should stand the test of time once you get them right. However, keep your mission like clay that you continue to mold as you get clearer on the business you’re in or about. 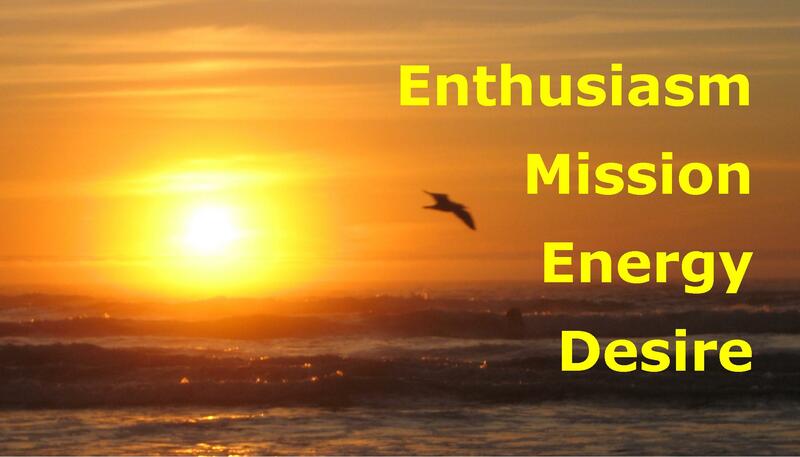 Enjoy igniting your enthusiasm and burning desire by creating or rejuvenating your mission statement. What does your organization stand for—your core values? Successful business owners understand how vital a company’s core values are to creating a company culture that results in happy, productive, successful employees, which, in turn, leads to happy customers and a healthy bottom-line. Values are your guide for weathering ethical dilemmas. They become the fabric for weaving good sound decisions. 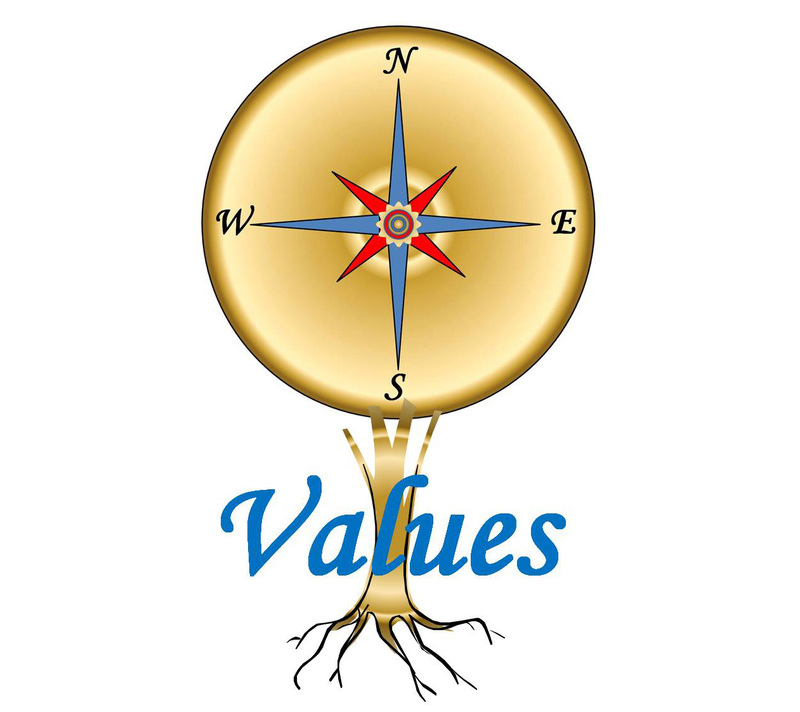 Values become your employees’ moral compass. For your company’s values to permeate throughout your organization, it will take conscious, consistent, deliberate actions. These turbulent global times demand that we return to basic universal principles both personally and professionally. 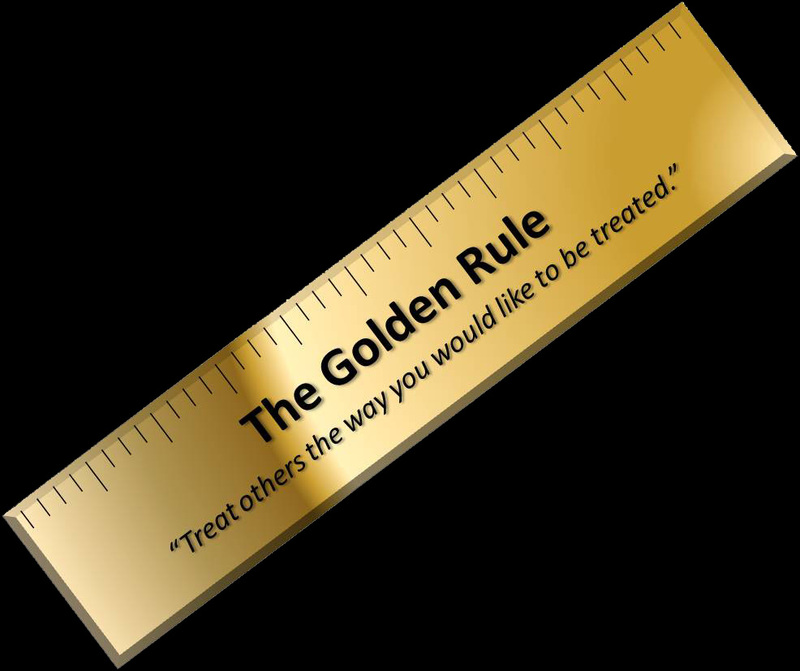 Here are some examples of successful organizations that deliver exemplary service by putting into practice a simple, timeless, and powerful core value—The Golden Rule. If you think it’s “too touchy-feely” for your organization, think again. HP was identified in Built to Last, by James Collins and Jerry Porras, as one of the most successful visionary companies of the past hundred years. One of the most popular business books of all time, Dale Carnegie’s How to Win Friends and Influence People, dedicates over half its contents to illustrating different facets of “The Golden Rule.” Since the book’s release in 1936, it has sold more than 15 million copies. Today, it is still listed on bestseller lists along with other current top-selling business books. Not convinced yet? One of the oldest and largest business associations, Rotary International, advocates applying “The 4-Way Test” in making sound business decisions. Conclusion: It simply makes good business (and personal) sense to invoke this universal principle of service in order to attract and retain customers (and valued employees). Answering these simple, yet profound, questions will establish or clarify the behavioral values of your organization. Also, the greater the number of employees you involve in defining “their own behavioral values,” the greater will be their enthusiastic buy-in for implementing them. You will find that these values also provide a worthwhile tool for measuring individual and team service success. So, how do you like to be treated? Ray Madaghiele is Chief Inspiration Officer at Business Energizers, a division of TLC, an organizational and human excellence company. Ray is the author of the book Energize Your Business: Engage Your Employees with an Inspiring Strategic Planning Process, which was launched last week. Learn more or purchase at www.EnergizeYourBusiness.biz . This article is adapted from Chapter 11. Ray is a Master Facilitator who has a unique lifestyle as a full-time RVer, operating his business while he and his wife, Lyn, roll across North America. Their present RV lifestyle evolved from Ray’s 3,369 mile, 70 day, transformational bicycle ride from Phoenix, AZ to Ground Zero New York City in 2002.
http://businessenergizers.net/wp-content/uploads/2017/05/business_energizers_340×156.png 0 0 Ray Madaghiele http://businessenergizers.net/wp-content/uploads/2017/05/business_energizers_340×156.png Ray Madaghiele2015-11-18 21:22:082017-08-03 20:20:23How Do You Measure Your Success in Business and Life? Once you “Get Clear” and “Get Organized” it’s time to “Get Going” with everyone on the same page and moving in the same direction. Successful businesses know how important it is to move into action quickly after the direction has been set. In my previous two blog posts I shared the first 5 steps of the strategic planning process that help you to “Get Clear” about the direction of your organization, and three steps to “Get Organized”. The focus of this blog is moving into action. 9. Prepare for Ignition – Jack Welch said, “When it comes to strategy, ponder less and do more.” After you have defined your Goals, Objectives and Strategies, it’s time to identify how you are going to achieve them—tactically. It’s time to pay attention to the details—to identify the detailed Tactics (action steps), to schedule the timeline for accomplishing them, to identify the resources required, and to assign people to each task. Now the proverbial “rubber meets the road.” Up to this point, you have been building potential energy, similar to that of rollercoaster cars climbing the initial big hill. Now it’s time for kinetic energy to take over as the rollercoaster cars rush down from the top of the hill—as you put your plans into action! It can be very exciting—and sometimes a little scary. So remember, too, that it’s time to step into your fear and experience the fruits of your labor. 10. Keep the Energy Flowing – Napoleon Hill said, “All natural laws and all of nature’s plans are based upon harmonious, cooperative effort.” So, who is responsible for the success of your new strategic plan? Everyone! Gain enthusiastic support and buy-in for the plan by involving ALL employees in the process. Assign everyone a piece of the puzzle to help keep the plan alive. Once your action plans are complete, the task at hand is to keep them alive, employing everyone’s cooperation and collaboration. Don’t let your planning book gather dust on a shelf, never to be seen again until next year’s planning retreat. Allow your strategic plan to be a living, breathing guide to individual and organizational success. Done right, the strategic plan should guide everyone’s actions by constantly reminding them of the most important use of their time. Create an environment where everyone collaborates to deliver “24k Gold Service” that improves customer and employee loyalty and maximizes profitability. What do you do to “Get Going” with everyone on the same page and moving in the same direction? I invite you to follow this blog to learn and share valuable tools and tips. And please connect with me on my social media channels.